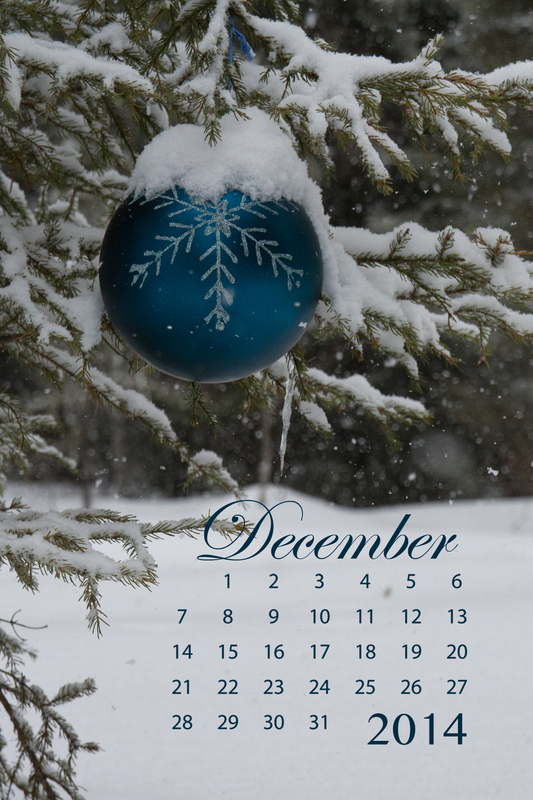 The final month of 2014 is around the corner! 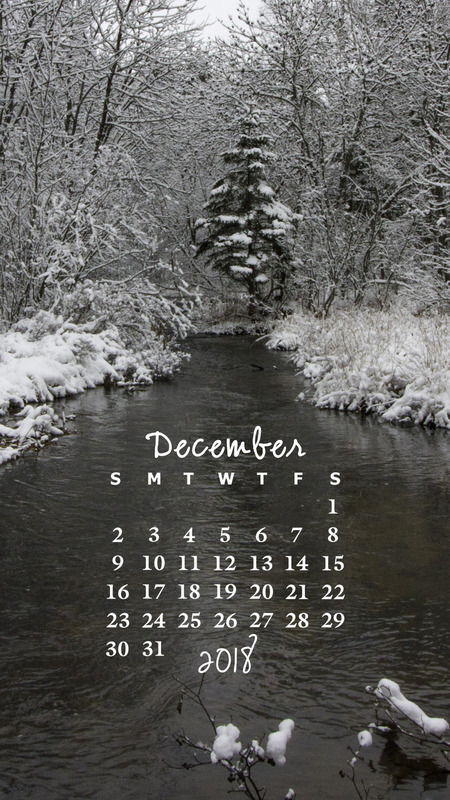 For the past few years, I’ve made photo calendars for gifts and for purchase. 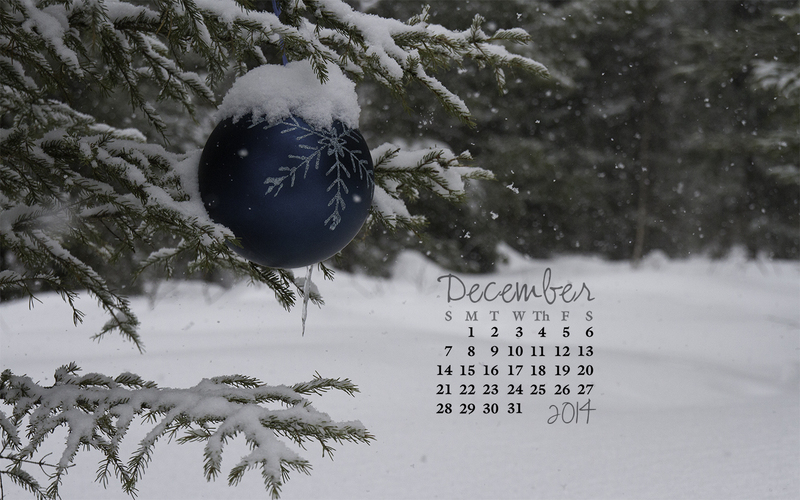 This December’s desktop calendar image (above) is the one I used for December in my printed 4″ x 6″ 2014 calendar. It took most of a previous winter to capture the shot I planned. I hung the oversized ornaments on a tree in near our home in early November and didn’t get the right combination of snow on the ground and large flakes in the air until March! My 2015 calendars are ready for purchase. They retail for $10 and include a heavy a magnet clip. To have them shipped with the magnet clip would double the cost so I am offering to mail within Canada and the US without the magnet for $10 including postage. Payment would need to be made by e-transfer. Use the Contact Me link at the top of the page for more information.